For fans of Transformers: The Movie from 1986 here is your chance to re-experience the movie for the first time in theaters since ...well 1986. Fathom Events have announced the movie will screen for one night only, September 27, at around 500 theaters nationwide. Based on the press release below, it looks like it will be the recent HD remaster that was recently released on Blu-ray. In addition to the movie there will also be a behind the scenes video for Bumblebee and an interview with Stan Bush who will also perform The Touch and Dare from the movie. To see participating theaters and buy tickets, head over to Fathom Events. Los Angeles, CA – August 1, 2018 – Brace yourself to relive the excitement and nostalgia of the thrilling action battles between the AUTOBOTS and the DECEPTICONS from the 1986 TRANSFORMERS movie on the silver screen! The world-renowned animated feature film THE TRANSFORMERS: THE MOVIE hits cinemas nationwide for a special one-night event on Thursday, September 27 at 7:00 p.m. local time. The film has been meticulously remastered, restored from the original film elements, and transferred in HD. 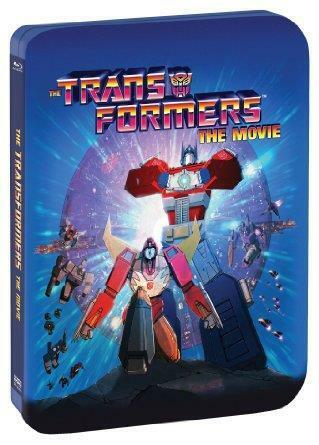 THE TRANSFORMERS (1986) MOVIE EVENT will catapult audiences into the super-charged, action-packed TRANSFORMERS universe, and enables lifelong fans to relive the excitement and awe of this 1986 animated feature, just months before BUMBLEBEE, the new live-action feature film set in the year 1987, hits theaters everywhere in December 2018. This special event is a collaboration between Fathom Events, Hasbro Studios and Shout! Factory, and it will also provide moviegoers with a sneak peek behind the making of the BUMBLEBEE feature film, and a brand-new interview with singer-songwriter Stan Bush including recent performances of the theme songs “The Touch” and “Dare.” Moviegoers will be able to enjoy the film in approximately 500 select U.S. movie theaters. A complete list of theater locations will be available at Fathomevents.com. THE TRANSFORMERS: THE MOVIE has captured a special place in the hearts of millions and has been a staple in the pop culture zeitgeist since 1986. Featuring memorable characters from the heroic AUTOBOTS and villainous DECEPTICONS, and thrilling action and a heartfelt storyline, THE TRANSFORMERS: THE MOVIE is a cultural touchstone that spans generations. Beloved by legions of fans, this full-length animated adventure boasts the voice talent of Orson Welles in his final voice acting role and an all-star voice cast that includes Peter Cullen, Eric Idle, Casey Kasem, Judd Nelson, Leonard Nimoy, Robert Stack and Frank Welker. Tickets for THE TRANSFORMERS (1986) MOVIE EVENT will go on sale on Friday, August 3rd and can be purchased online or at participating movie theater box offices. The TRANSFORMERS – THE MOVIE is co-produced and directed by Nelson Shin; produced by Joe Bacal and Tom Griffin; supervising producer, Jay Bacal; executive producers, Margaret Loesch and Lee Gunther; music score by Vince Dicola and Ed Fruge.